I am loving this bright yellow top for the upcoming cold weather! The lovely graphic adds an element of fun and is sure to make you smile. It also really stands out paired with this striped shirt. The fuzzy sneakers add a sporty look and will keep your little one's toes toasty warm! 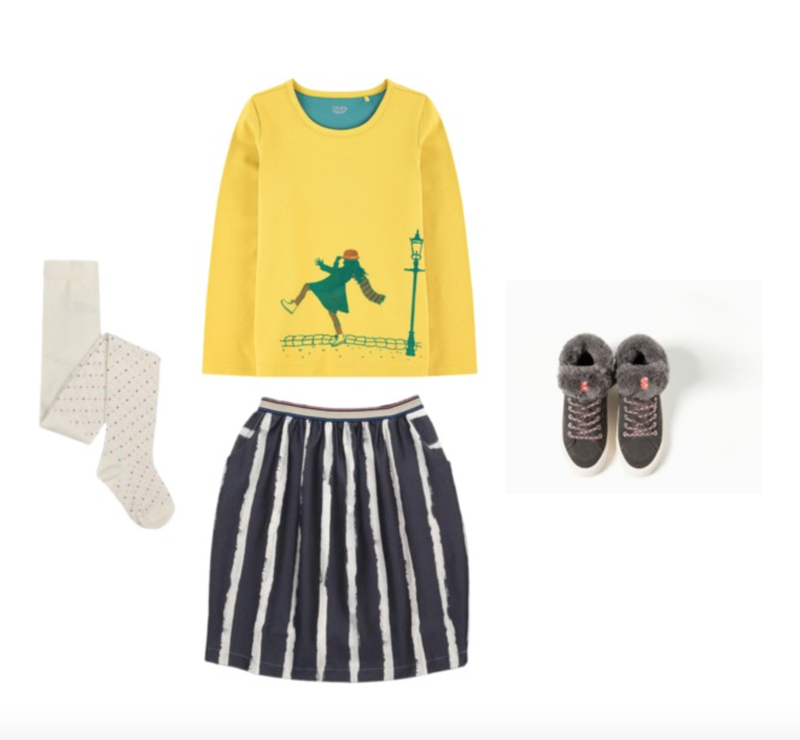 Be sure to get these finds for your kiddo- links below!